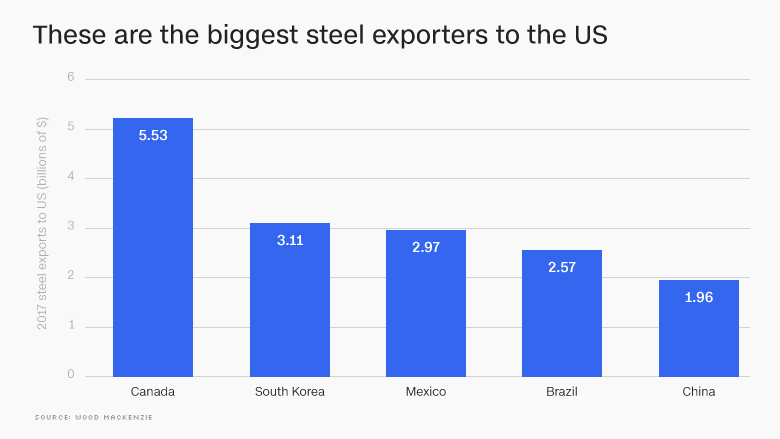 When it comes to steel production, one country is miles ahead of the pack: China. It accounted for a whopping 49% of the 1.7 billion metric tonnes of steel produced globally last year, according to industry group Worldsteel. 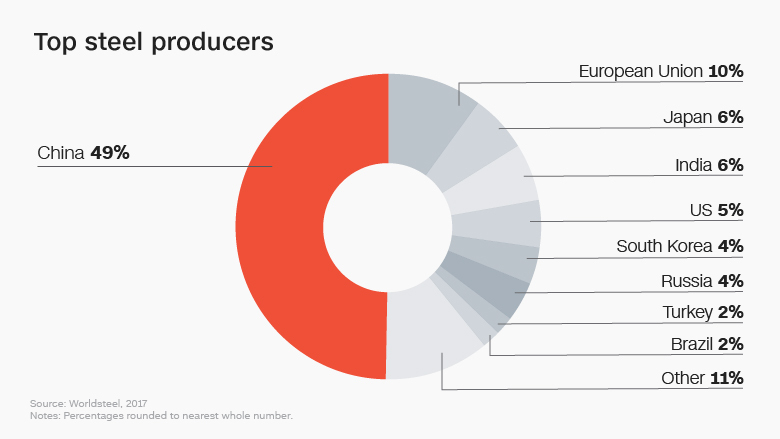 The European Union, Japan, India and the United States round out the top five producers. 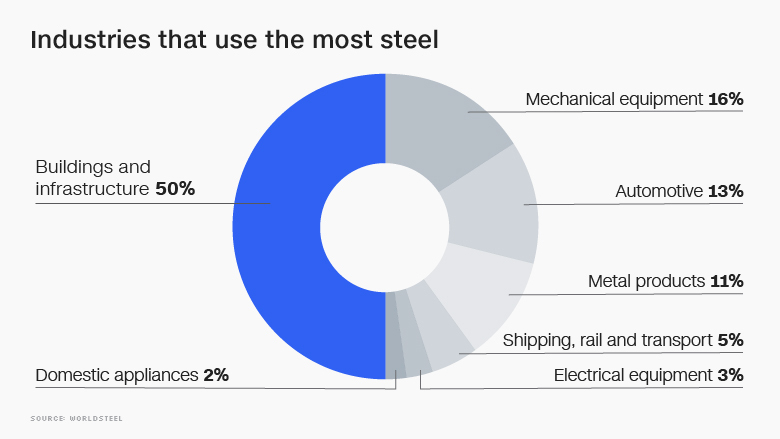 Steelmakers have in the past accused China of dumping steel on other markets, pushing down prices, forcing rivals out of business and killing thousands of jobs. The US and EU had sought to level the playing field with targeted tariffs. What's all that steel used for? Half of global steel production goes into buildings and infrastructure, which includes products such as beams and pipelines. Some 16% of steel is used in mechanical equipment. Cars, shipping and rail transport also receive hefty allotments. When it comes to consumption by country, China once again tops the rankings. It's followed by the EU, the US, India, Japan and South Korea, according to Worldsteel. Nearly 17% of steel imported into the US comes from Canada, according to S&P Global Platts. South Korea, Mexico, Brazil and China are also major exporters to the US. The new tariff could put those countries squarely in the firing line. Ben May, a director at Oxford Economics, said that 88% of Canadian steel exports went to the US in 2016. The same is true for nearly three-quarters of Mexican steel. China would be less affected because its trade with the US is already restricted by American import controls and duties. The volume of US steel imports is not very consistent. 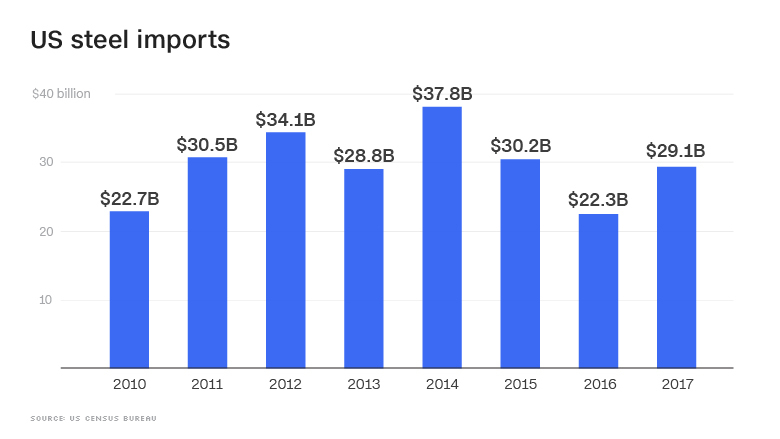 In 2014 they were worth nearly $38 billion, but that figure declined to just over $22 billion in 2016. Steel and aluminum, which Trump has also targeted, account for about 2% of world trade, according to Capital Economics. That may not seem like much. But other countries may respond with trade actions of their own. 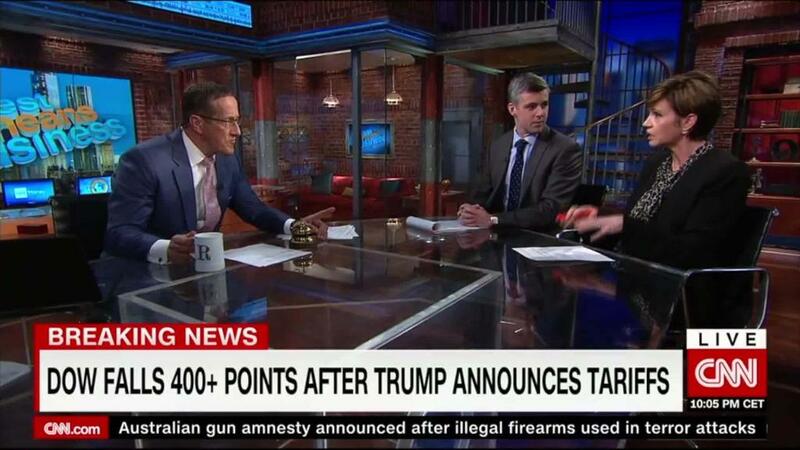 "The direct impact on the global economy of the tariffs President Trump announced yesterday would be minimal. But the fact that they are being justified under a flimsy pretext of national security increases the risks of retaliation," said Andrew Kenningham, chief global economist at Capital Economics.